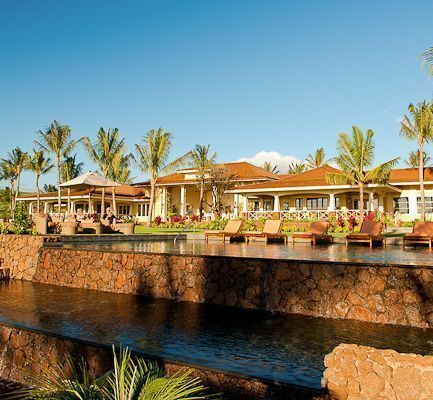 The Club at Kukuiula is like no other on Kauai, or anywhere else for that matter. The development team has created a community that rivals the beauty of the Garden Island. Let us show you why living in Kukuiula is so fantastic. Congratulations to Ray Gordon, RS who placed Lot 39 in escrow this month at a list price of $1,450,000 and nearly an acre of land. “It had just been listed the day before my clients toured the Club at Kukuiula”, Ray told us. “We spent a couple of days walking several lots in the morning and at sunset. For the clients it was important that the winter sunsets were just right”. We found the right one for them. The views and the colors were like an impressionistic painting; and the prevailing tradewinds made it ideal for how they wanted the home situated. An added feature to Lot 39 is that this “painting” is framed in the foreground by a tropical fruit orchard that rests lazily in the valley below the house lot. Replete with mango, lichee, longan, and breadfruit. The landscape architect took advantage of the natural topography to create a Hawaiian “Mala” or garden. “My clients also liked the idea that there would not be roof tops in their immediate view plain and with the lot backing up to the orchard was a big plus for them”. There is no question that the appeal of the Club and the facilities were important to them. With more than 30 classes each week ranging from Yoga to Barrethere are ample opportunities to maintain a healthy lifestyle. Being blessed with a location that fronts the ocean the Club at Kukuiula has ocean water activities daily from surfing, to stand up paddle boards the Club and the staff at Island Pursuits will introduce you to the glory of the Pacific Ocean. Coldwell Banker Turtle Cove Realty welcomes you to discover all The Club at Kukuiula has to offer in spectacular homes, condominiums, or houselots. If you are looking at Poipu homes for sale or Poipu condos for sale we are your best choice in Kauai real estate agents.